I am referring to the Hot foot candle ritual below from luckmojo hot foot page. http://www.luckymojo.com/hotfoot.html. I have hot foot oil, hot foot incense power, and a black candle. However, I do not have hot foot powder. Can I substitute the powder with the incense powder? Would it be ok to leave out the powder in this ritual? Is it better to perform this ritual outdoor, eg in balcony or backyard? Since this ritual is going to take 9 days to complete, can another spell or ritual be done during this 9 day period as well (at different times) ? I've read that energies you send out will also return to you. Do I have to perform another ritual to prevent this? bellesky wrote: I am referring to the Hot foot candle ritual below from luckmojo hot foot page. http://www.luckymojo.com/hotfoot.html. I have hot foot oil, hot foot incense power, and a black candle. However, I do not have hot foot powder. Can I substitute the powder with the incense powder? Would it be ok to leave out the powder in this ritual? Is it better to perform this ritual outdoor, eg in balcony or backyard? I have substituted an incense for a sachet I didnt have on hand and it worked for me, your mileage my very. bellesky wrote: Since this ritual is going to take 9 days to complete, can another spell or ritual be done during this 9 day period as well (at different times) ? If you feel you're up to it but you should be concentrating on the HotFoot one. bellesky wrote: I've read that energies you send out will also return to you. Do I have to perform another ritual to prevent this? Well, in hoodoo their isn't much in terms of a belief in karma or the wiccan's law of three. We cleans ourselves after work like hotfoot because its mean work. Most of the spells to do after such work for cleansing are much closer to a removal of sin then some action to block something from "bouncing back" Its usually a bath that is recommended. I would go with a Hyssop bath while saying the 51 Psalm. Hello everyone I wanted to know,if using a (Hot Foot glass vigil candle, fixed) would I put the persons name that I want to move in the candle? I also have a question regarding the Hot Foot Candle Spell. It's a funny situation: my husband and I have been having long term trouble since we got married. I've done the Honey Jar Spell and the Nation Sack, and things have been steadily improving ever since- it's wonderful. And yet, there's one more complicating matter that has to be settled before I can move on with other spell work (and maintaining the Jar and Nation Sack, of course...this whole marriage situation is an ongoing project, trying to redress several issues at once without overtaxing myself or "muddying" my work). We have a male roomate who lives with us, who is my husband's friend, and moved in his girlfriend about a year later. While his girlfriend is a sweet, intelligent and beautiful person, the male roomate is an utterly selfish, self-centered, misogynistic ogre. For two years, I've been trying to tolerate his presence- I tried being nice and being friends, and he walked on me and my husband. He treated this house like it was his, not mine and my husbands. I stood up for myself, and he began interfering with me and my husband's relationship, trying to insinuate himself between us! I got nasty after that, and he stopped doing overt attempts, but still passive-aggressively tries to come between my husband and I, to the point of trying to store his clothing in our personal closet. He's a real piece of work. My husband feels beholden to him since he owes him a considerable amount of money, but I have no such qualms, and after a huge argument, my husband has promised (twice) that he will never see or talk to this person again after we are rid of him, and that it will happen one way or another by December...now all I need to do is get rid of him, and I'm aiming for sooner than December. 1. I realize that if I Hot Foot him, I will probably lose contact with his girlfriend, who is my friend. I understand this is a necessary loss, sadly- I simply cannot abide him living in this house anymore and coming between my husband and I. My concern is- the Hot Foot will just drive her away with her boyfriend, and not hurt her, correct? While I don't mind (to be honest) if the jerk runs into considerable trouble, I don't want to cause him any great harm, and I want to cause her minimal to no harm at all- especially since she's such a nice person and works so hard doing what she does (medical student, putting up with his crap). I just want him to go away and stay away for good. 2. I know that after they are gone, I will have to wash the room down with Chinese Wash or something similar. I regularly take baths in Rue and Hyssop, and considered making a vigil light for purification after the work is done. Any other suggestions? 3. Should I suspend work on the Honey Jar and Nation Sack while doing this spell? Or, after a purification bath, can I continue the work? I don't plan on doing the spell until the Honey Jar and Nation Sack have enough work put into them for me to be comfortable leaving them for a little while, but if I can continue it all, I would like to. Thanks for listening to my Noob Questions- I read this forum from time to time and I really enjoy it, and learn a lot from it. You all are very knowledgeable and helpful (and polite- something not often seen on the internet) and I appreciate it very, very much. 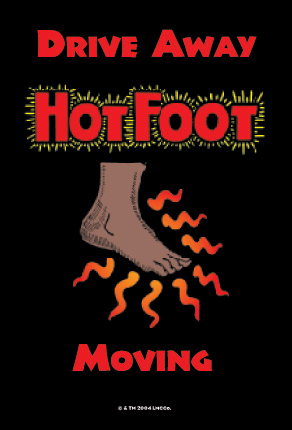 HotFoot has various symptoms and can have different effects on different people, but some of the effects include restless wandering and and inability to settle in any one spot. Now the effects can be aimed specifically at him, but if she's going to follow him around then you can bet she'll be following him from place to place for a bit. If she's unwilling to do that then it may lead to him wandering off and out of her life. As to your other work you want to cleanse yourself before you move on to love work lest you trample that chaotic energy with you into said work. My ex is a real jerk, he is a cheater and dead beat dad. We currently have no contact and I would like it to stay that way but he really hurt both me and my daughter emotionally and I wanted know if I used a hotfoot candle on him to keep him away and make him wander could do this bring bad luck to me. Currently trying to draw a guy closer to me and it seems to be working and I dont want to do anything to mess that up but I also want my ex to pay for the dirty things he did to us. I really need suggestions on this topic. If I do use the hotfoot candle is it ok to put his picture under the candle? Sounds like you want a Reversing or Crossing candle more than a Hot Foot - or a mixture of the two, anyway. Just make sure to take hyssop baths after working those candles, and keep your house spiritually clean, and have some kind of protection up. That is what you should always be doing, but especially when you are doing that kind of work. Yes, you can put his picture under the candle. You can also carve his name into the candle as well. Thank you I appreciete the details. Going to try what you suggessted. I'm new to the forum and have two questions. 1) My husband and I are seperated and I recently discovered that an ex of his resurfaced. I have since hotfooted her and had a reading done with a Spiritualist. The young lady is not around anymore. My question is just to be on the safe side, should I hot foot her again? 2) I've done a Come to Me candle and a Return to Me for my husband. I'm currently waiting for my oils to arrive. I ordered Come to Me, Return to Me, Reconciliation, Stay at Home, Stay with Me, and Crown of Success for starters. It's been more than 3 days, but less than 3 weeks and I have recieved some positive signs from him. I also would like to burn a Cast Off Evil candle for him to remove the negative influences from his life. Am I on the right track with all this? Are there any other oils I should have on hand besides the ones mentioned that will help bring my husband back? Thanks for reading my post, I look forward to hearing your response. 1) You may Hot Foot her again if you wish. Check in with your Spiritualist reader for further guidance. 2) These questions are not about Hot Foot candles at all, but i will reply briefly so as not to take the thread off-topic: Your order of oils seems thorough and well thought out. I would not recommend anything else at this time, but would hope that you can employ these oils as candle dressings and, possibly, for direct contact work if and when you gewt to see him again. Thanks for the response. I will check back with my spiritualist. I do apologize for going off topic on my other questions. Hi, I would like to know if the HOT FOOT VIGIL CANDLE can be used to seperate two different people known to me from seeing each other. You would want a Break-Up or Separation candle. Hot foot sends a person away but it is not going to make them break up necessarily, and they may leave together. You may want to get a break up spell kit as it comes with Hot foot powder as well. I plan on doing the nine day hot foot spell and lighting a vigil candle for back up. Do I cleanse myself and my home each of the nine days or on the last day? You can do it when the candle is completely burned. 1) How do I cleanse my home before or after this Hot Foot Vigil Candle spell? 2) Can I use a cleansing bath? 3) What kind of water should I use to clean my home? 4) Can I use a anti hexxx oil to cleans myself in a bath water? 5) Can I use this Hot Foot Vigil Candle Spell for more than one person at a time? You can put Chinese Wash in the mop water to clean your home. After "dark" work, do a hyssop bath. You can use the same candle if there is a connection between the people, for example, a married couple or family. Otherwise, use one named Hot Foot candle for each person. I am new to this and want to ask if I have chosen the right spell to use on my neighbour. The person concerned has been abusing myself and my children verbally for over two years. It is relentless. It happens at home, in the street, when we are at the shops and even when collecting the kids from school. There is no reason for this, we have not done anything against this person or spoken a word in the past two years and yet it continues. We need rid of him for good. Is the hot foot candle spell the best to use in this situation? I do not want to venture onto the property concerned to lay hot foot powder as I can't bring myself to go anywhere near this person or their house. Is there anything I can do to boost the spell and give myself the best chance for success? Traditionally Hotfoot powder is laid where an enemy can step on it, but if this is not possible, the Hot Foot candle can substitute. Pray over it and believe in your work. Oh my Gosh, I know what you're going through and I'm so sorry. Only, in my case, it was the neighborhood "self-appointed" leader who recruited 2 other neighbors, her kids, and her kids' friends to harass me. It was a LIVING HELL. I will tell you that the police refused to help me. Didn't want to get involved! Nice, huh? So, I talked to an attorney and it turns out that my Civil Rights were being violated. Documentation of everything is very important along with: witnesses; pictures; and vides will help. One gal I knew had a similar situation. She took a video camera and put in right in their faces. Guess what? It all stopped! 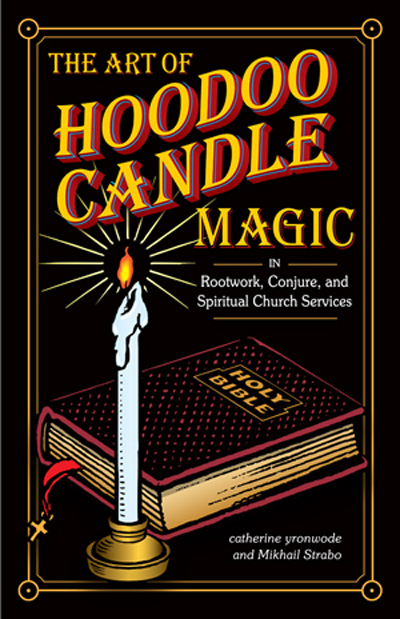 I myself ended up not taking any legal recourse because I performed an array of Hoodoo. But (different from your situation) I had to work on one person at a time. And, in order to completely STOP everything, I made a doll for the ringleader. Again, my problem was more complicated. I would like to know, is it ok to burn a Hot Foot Vigil Candle discreetly inside my own home? E.g. In a large closet. It is perfectly ok to do that! Lots of people do work secretly. Just keep flammable stuff away from it. You can also order the vigil candle fixed for your purpose but have them not put the label on it so if someone were to see the candle they would not know what it is for. Just let the shop staff know to remove the label. I would like to remove more than one woman from around the man im in love with forever but i do not know their names etc. how do I go about doing this? I want him to commit to me and stop messing around with other women he lies to me about. I want him to feel like im the only one for him and nobody else. He has children with another and i don't want him to have anything intimate with her at all. What should i do? How can you perform these spells without him or any other diviners being able to see what i will be doing? If you don't know their names I would write out a petition that said "All the other women who want my man X (put in his name)". While you banish those women with Hot Foot vigil lights, also do work to tie your man to you. Use Stay at Home, Stay With Me products, or a combination. I'd also recommend using a Nation Sack, to tie him to you. I"d be careful in working on the woman with whom he has children. He as a father needs to support those kids, which he can do without being intimate with their mother. Be careful in messing with his baby mama. Mess with her too much and it could interfere in the relationship he has with his children. You can hide your magic work by putting a Bay leaf in each corner of the room that you're working in, praying that the work will be hidden from all people. I certainly don't want to mess up his relationship with his kids i just don't want him sleeping with her under any circumstance bcuz i think he does at times and there are certain things i don't like that gives me that gut feeling. I don't trust baby mamas and daddies period bcuz I know how they are ....unless the other person was married. In this case she's not married nor has a man. I am doing several candle spells at once. One for love, one for money, & today I am beginning a Hot Foot spell to remove sine wave from my life. I typically do all my candle work in the evenings, after work & before bed. Should I separate the Hot Foot (repelling) candle work from the love/money (attraction) candle work? Or is it still effective if I do them all at the same time? And if it is ok to do them all in s row, which one is it better to begin with, the repelling work or the attraction work? When I set lights I usually separate drawing/blessing work from the negtive/repelling/reversal work. Because of space limitations, my work space is along the south wall with the negative/repelling/reversal work is to the west, and the drawing/blessing to the east. It's generally advised to do drawing work in the morning (when the sun is rising) and repelling work in the evening. Vigil candles of all types burn best if left to burn continuously. They are difficult to relight then the wax gets low in the glass, and doing so may create smoke smudges that confuse the reading of the candle glass after they are finished. Catherine, thanks and I am going to order the book right now. Thank you for your reply. I would like to Hotfoot her but I'm worried he would want to follow her because of the baby. Does this petition sound okay ? " _____ born ___ is hotfooted out of ______ born ____ 's life forever." I'm unsure how to word it. I just don't want him following her. She has also just brought a new house so I can't see her moving again anytime soon. Hello - during a 9 day hot foot ritual or any ritual, what happens if you miss one of those days? Can you do 2 candle burnings on the same day? Or should you skip that day and just continue on for 10 days? Or keep it within the original 9 days? Thank you. I'm about to place a order for a Run of lights with the Hotfoot candle at MISC and also a hotfoot spell kit and vigil candle for use in my home. I would love to hear how others have completed their hot foot work and the results, good and bad! I am sorry but we don't take polls or ask poll-type questions. Your best bet is to read the threads and see what others says. This person is so toxic at work that she greatly upsets both the adults and terrifies the children who have special needs. I want to send her packing! She has no place in an educational center at all!!!! 1) I recently purchased banishing sachet powder and the oil. Was wondering if this is weaker than hot foot? 2) What would be the proper color candle (black?) to use to banish a terrible person and how would you suggest I dress and load the candle? 3) Should I use a photo under the candle or carve the name into it? 4) Burn it over several days? 5) Could I use the banishing oil in a ‘gift of hand lotion for this person? 2) Use a Hot Foot Vigil Candle. 4) Vigil candles are best when burned continuously, for the entire length of their run. 5) Putting Banishing Oil in a lotion is one tricky/sneaky way of working - I would also try to make it an anonymous gift because I personally wouldn't want them thinking I like having them around . Hope that pointed you in the right direction! Good Luck! I have a supervisor who is very mean and purposefully looks to fire people and has done successfully. I recently noticed their new interest in me and I don’t get this is the intention for me yet but I do want the situation moved away from me. I have already done a protection spell but now I want them gone. 1) Is a hot foot vigil good for that? 2) How do I word the petition so that I don’t remove myself my job but more so remove them for the safety and protection of my job and my co-workers? If you absolutely can't get in contact with her, what about her car door handle? it look like that come to me and also break up candle works not really, or not strong enough. Could i use also hot foot, to make my "rival" go far from her? Yes a hot foot candle with the intention to make the person go away would work, if its to rid a romantic rival, I would burn the break up candle with it at the same time. You can request this in the comment box when you order it. I just want to say here that I doubt that the two candles you mentioned (paraphrased) "Doesn't really work" or that it wasn't "strong enough" but perhaps there were other circumstances involved. It's been a little over 2 1/2 months since you posted about those candles, perhaps its time to reassess the situation and get another reading. As a reader, i also note the member's username is "ZeroMagic." "Zero Magic" can mean "No Magic," and as such, i find it an unfortunate choice of name, possibly even a sort of self-jinxing name. A long time ago on the forum we had a group of people with names like LoveHurts, LostLove, DownAndOut, Unsatisfied, and Crying. None of their magic spells produced the results they wished for -- but they sure did get what their names proclaimed. I encouraged them all -- sometimes a little forcefully -- to change their names to positive ones. For some the name changes worked. Others drifted away from the forum, and we never heard from them again. I am not saying that a poistive and upbeat name will increase anyone's chances of success, but at least it won't trip them up. About my name. I wanted not use my normal screenname, its also something with "zero"
About the other things. I am not very modest, because in the past, long time ago i had bad experience with candle spell. Didnt know lucky mojo at that time. There was an other big company popular here in germany. I found out that all that stuff was only synthetic...that hurted much and stopped all. That things broken me very down. I changed company now, and saw the new girl. I am not sure if i had a chance....there is a bit age difference between us. So not sure if she flirt or just talk. My readings i make with crowley tarot. Which give me easier answers in my view. I made another reading. Need to look at home but all un all it says, success is possible, i should keep going. I like more if things,go from alone. But then i think we need a little push. We work in same xompany but in different appartments. She hide her life from me, but she always want know what i did on weekend. In talk she begin to laughing without reason, aöso she is much times a bit cheeky. I do same i am also cheeky. She go away and look behind, dont know if she want see if i watch her. She call me every day and ask job things, but there was no really need to ask me. My collegues directly in my office think i love her. Even i say nooo nooo but they talk about us. Readings are good, but dont know. Do you have a question for the forum? I couldn't quite understand your post so if there is something you would like help with, please ask us here. I answered rhe previous post and tried to explain. But if i read now, i also dont know why i wrote so much. Wrote what i feel in that moment. U can delete it if u want. But i hope the change of my nickname from "ZeroMagic" to "HappyLove" will have a positive influence at my "love work"
It's OK, no need to delete what you wrote. It's perfectly fine. And yes, your new forum name is a good one, and I hope it brings you good luck! My hot foot candle burns with very small flame, last week i put a bit wax out. But helps not, was same again after short time. Does it mean that the work needs more time? If this will continue, it could burn for much weeks. We do not perform candle divination on the forum, but here is a wonderful page written by Miss cat on that very subject. Read the section on interpreting a flame and you will know more about what your candle is telling you. That said, a low flame is not something we want to see. Is this a candle you purchased from Lucky Mojo? If so, it may be a message from Spirit that there are obstacles or delays in reaching your goal. Burn more candles until you get a steady, tall flame which is a much better sign. If you purchased this candle from another retailer, we can't advise on how it is performing. It may be a function of low quality candles, or something spiritual. We can't tell. However, read the link I gave you and you will learn quite a bit about interpreting candle signs. Thanks i will read the link..
And yes it is an luckymojo candle. I like no synthetic things from other retailer again. Had bad experiences in the past with it.